Stalled to do something that you should have done two days ago, a week ago, a month ago or even a year ago? Could it be because you are shy, or are scared to be laughed at or you are afraid that what you are about to deliver is not good enough? 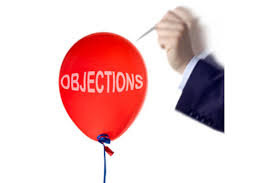 Are you afraid of objections? Stop. Instead of thinking that what you will do or give is not good enough, think about WHAT BENEFIT IS THE OBJECTION GIVING YOU. :) Replace the negative thoughts of rejection with the benefit of what it will bring. What you are giving may be liked or not liked. But you'll only know the answer once you take action. Most of the time, your product or service is already good and will be pleasantly received. It is already of great value that is why you thought of offering/giving it in the first place. It’s just you who is delaying the action. Success is achieved and maintained by those who try, and keep trying, for there is nothing to lose by trying and a great deal to gain if successful. By all means TRY! Whether you are offering a product or a service, think about how others will benefit from it and how great it is that you will be able to help. So, don’t be shy but be happy to deliver. Be a blessing. Take action.